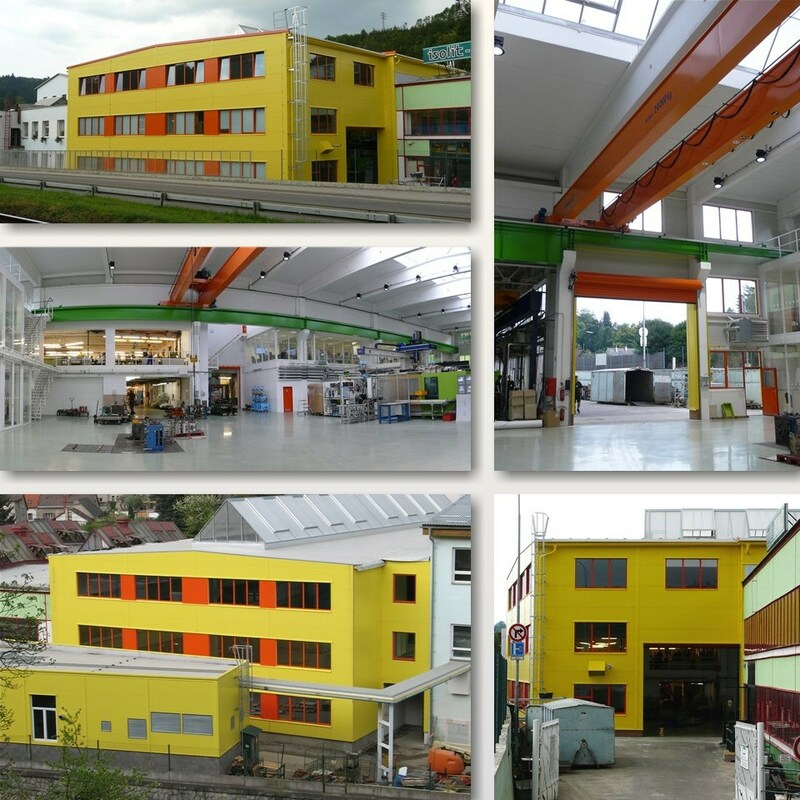 The projected was prepared in order to expand the capacity of the existing plastics-moulding shop by new injection moulding machines and in order to install machine tools to manufacture large moulds. The inspection rooms, testing laboratories and administrative areas were relocated into the internal structures. The new hall has connected the pressing shop and tool room that had been detached before. Before the new construction could begin, it was necessary to demolish several structures. Then the hall was connected with adjacent buildings. These requirements placed high demands on accuracy and coordination of work. The load-bearing structure of the hall consists of a prefabricated reinforced concrete frame enveloped with thermal insulating sandwich panels. The in-buildings have a steel load-bearing structure, enveloped with plasterboard with maximum possible window areas.